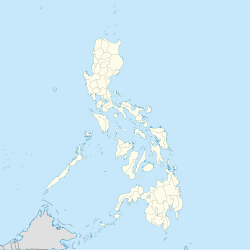 Santa Ana, officially the Municipality of Santa Ana, is a 2nd class municipality in the province of Cagayan, Philippines. According to the 2015 census, it has a population of 32,906 people. The municipality is on the north-easternmost point of Luzon and includes Palaui Island as well. It is the home of the Cagayan Special Economic Zone and the Naval Base Camilo Osias (Naval Operating Base San Vicente) in Barangay San Vicente. Santa Ana is politically subdivided into 16 barangays. Listed here with the 2015 population. The first inhabitants were the Negritos and "hacheros" (woodcutters) under Don Julián Astigarraga (Capitan Vasco 1854-1901) of Aparri. Some fishermen from Minanga ( a barrio of Gonzaga) came and settled in Palawig. In 1891, Felipe Agarpao with some settlers organized a "gimong" (society) called "Inanama." The purpose of the organisation was to acquire and occupy lands around the place. That same year, Briccio Campañano of Lapog, Ilocos Sur together with some others from Ilocos came to Palawig to apply for homesteads in the sitio of Marede. These settlers organized another "gimong" called "Dagupan." In 1900, the woodcutters from Aparri led by Don Julian Astigarraga arrived by the first boat. Thus, began the clearing of settlements. From 1919 to 1935 several group of settlers from the Ilocos Region came to claim lands aboard virays (light seagoing boats). The once-forested areas were accessible only via rivers and the sea. Before reaching the settlements in the northern and eastern portions, they had to navigate through Palawig River. The name Palawig was coined from the local term pasawig, meaning mouth of the river. In 1935, the gimongs "Inanama and Dagupan" fused into one called "Da Inanama," headed by Navarro, they began to work for the separation of Palawig as a municipality independent from Gonzaga. Their application was held in abeyance because their population did not meet the needed number required by law. The move was suspended in 1941 and when World War II broke out the move was not carried out. Barrio Palawig and its neighbouring barrios were separated from Gonzaga and the town was created by President Elpidio Quirino via Executive Order No. 289 (21 October 1949). Contrary to the usual assumption, it is not named for Saint Anne but is an acronym of the surnames of the then-three provincial officials: Governor Nicasio Arranz; and Provincial Board members Federico Navarro; and Roberto Avena. The association to the saint was a back-formation in keeping with traditional Hispanicised toponyms. In the 2015 census, the population of Santa Ana, Cagayan, was 32,906 people, with a density of 75 inhabitants per square kilometre or 190 inhabitants per square mile. Santa Ana is a mix of agricultural, commercial and agricultural economy. Most of the commercial and industrial activities are at Port Irene as the Cagayan Special Economic Zone in Barangay Casambalangan. Santa Ana is the Game Fishing hub of the Philippines. It has hosted international decathlons, where athletes run through the rugged terrain of Punta Verde to Cape Engaño, then dipped in the crystal clear water of the Philippine Sea. Santa Ana is also known as one of the sites for Kiteboarding and Windsurfing. In 2015, the Philippine Windsurfing Association and the Philippine Kiteboarding Association organized a Kiteboarding and Windsurfing competition in Anguib Beach, known as the paradise for kiteboarders and windsurfers. In 2016, Beach Volleyball Republic hosts the third leg of the Nationwide On Tour, also in Anguib Beach. Beach volleybelles Charo Soriano, who is a native from Tuguegarao, and Filipino-American Alexa Micek won the third leg of the BVR On Tour. Every May 26 to May 30 of the year, the town plays host to the Viray Festival, organized by the local government with the support of the regional tourism office and the private sector. Launched in June 2005, the Viray Festival was conceptualized to dramatize the significance of the viray, which played a key role in the lives and history of the town. A viray is a large wooden flat boat which, before the use of gasoline-fed engines in the early 1950s, was propelled by sails. Comerciantes (traders) used large virays measuring 18 metres (59 ft) long, 5 metres (16 ft) wide and 3.5 metres (11 ft) high. Fishermen, on the other hand, used smaller ones, usually 11 metres (36 ft) long, 5 metres (16 ft) wide and 2.5 metres (8 ft 2 in) high. Equipped with oars to reach nearby fishing grounds, these types sailed for longer distances. Due to its capacity to carry great quantities of cargo, viray was the only means of transport used by the first settlers of Santa Ana. Leaders and well-off families derived income from the services of the viray ranging from fishing operation, commerce and trade to means of transport during the years when Santa Ana was at its prime. Used for daklis (trawl net), sapiao (net) and sirut (ring net) fishing, viray could carry the fishing gears, provisions, supplies, and manpower. It is assisted by small bancas during the fishing operation. An annual fluvial parade of colorful boats is held during the first day. The second day of the festival features a grand carabao parade where each of the 16 barangays composing the municipality has their turn to show off their artistic talents. On the third day, local folks and visitors alike line up along the main street to watch colorful bodies participating in the street dancing competition. ^ "Province: Cagayan". PSGC Interactive. Quezon City, Philippines: Philippine Statistics Authority. Retrieved 12 November 2016. ^ "Province of Cagayan". Municipality Population Data. Local Water Utilities Administration Research Division. Retrieved 17 December 2016. ^ "Santa Ana, Cagayan: Average Temperatures and Rainfall". Meteoblue. Retrieved 27 December 2018. ^ Domingo, Leander (January 10, 2015). "Cagayan hosts surf, kite contests". The Manila Times. Retrieved March 7, 2016. ^ "Beach volleyball in Cagayan". The Daily Tribune. February 17, 2016. Retrieved March 7, 2016. Wikimedia Commons has media related to Santa Ana, Cagayan. This page was last edited on 24 February 2019, at 10:35 (UTC).